Better soft investment environment for "Central China Triangle"
The 2012 China Entrepreneur Forum Summer Summit was held in Wuhan, Hubei province from July 6 to 8. The summit’s theme was "China's huge market – from the Pearl River Delta, Yangtze River Delta to the Central China Triangle". The conference took the image of a bow to show China's current economic situation. "The Pearl River Delta, Yangtze River Delta and Bohai Economic Zone are three points on the the limb, and the Central China triangle is the bowstring’s nocking point," said Chen Dongsheng, president of Taikang Life Insurance Co Ltd. Though the "Central China Triangle" has significant location advantage, participants put forward more suggestions for its soft investment environment. Zhang Weiying, chief economist of the China Entrepreneur Forum, believed that the influence of geographical location has weakened and the key is a soft investment environment, with the development of transportation and information technology. "For entrepreneurs, the legal and cultural environment matters the most," Zhang added. Yang Mingsheng, president of China Life Insurance Co, suggested a comprehensive concept of location. "Location should not be simply defined as the natural location any more. In the past, geographical location represented by transportation was really important, but location means more in the information age. We should also take into account the cultural location and institutional location," he said. Liu Xiaoguang, chairman of Beijing Capital Group Co Ltd, wrote in his microblog: "Respecting entrepreneurs is the key to develop the Central China Triangle, which means giving them better soft environment to make more innovation and to increase their efficiency." Chen Dongsheng also thought that the Triangle should create a fair environment where entrepreneurial spirit can grow and prosper. The Central China Triangle still needs to be improved by upgrading its soft environment, and entrepreneurs have high expectations for it. Guo Guangchang, president of Fuxing Group Co Ltd, said, "We should not exaggerate the problems when we encounter them, and we should solve them positively with the help of the government. Changing the environment requires considerable time and enough patience." 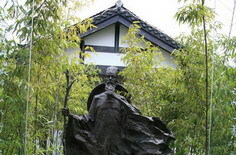 "Wuhan has a most distinguished advantage which is the cultural advantage. Well-developed higher education system has prepared a great number of elites. 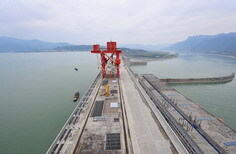 It is wise to place Wuhan as the pivot in the Rise of Central China Plan," Yang added. Zhang Chang'er, Deputy Secretary General of the CPC Hubei Provincial Committee, pointed out during the summit that the Hubei government has always paid attention to entrepreneurs' influence. The philosophy, "Industry is primary and entrepreneur is the key" is deeply rooted in the governors' mind at all levels. 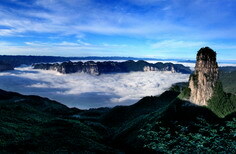 Hubei government’s top priority in economic development is to improve the investment environment. The government has put a lot of effort in building an efficient administrative approval procedure.